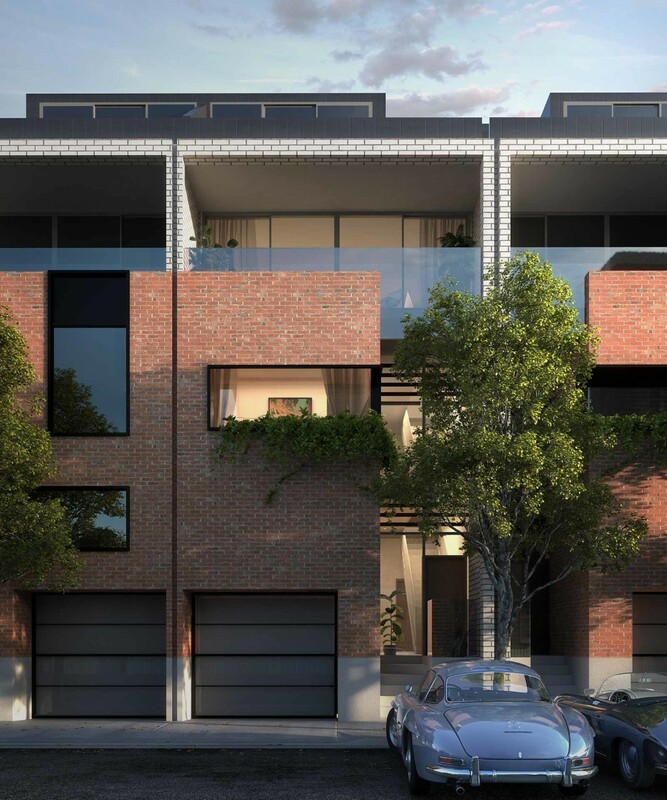 Situated just behind Macualay Road and a short walk from Macaulay train staition 55 Hardiman sits within a pocket of Kensington set to see significat change over the coming years, with its proximity to the city and it’s connectedness makes it highly desirable. 55 Hardiman is a Luxury collection of 5 Townhouses and 28 Luxury Residential Apartments, offering a mix of 1, 2 and 3 bedrooms over 6 levels. 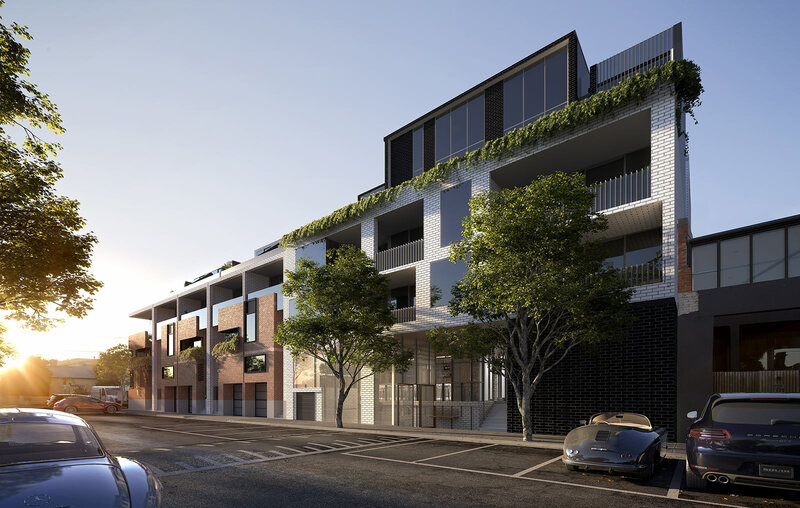 The development is serviced by a 44 resident & visitor carparks with 44 bicycle spaces, rooftop terrace for residents with CBD views and a 115m2 ground level café. The design by Plus Architecture seeks a balance between the personality of the suburb itself with a nod to an industrial past inspired by the industrial districts of New York city living. Designed by a local architect with the local area and residents’ in mind.